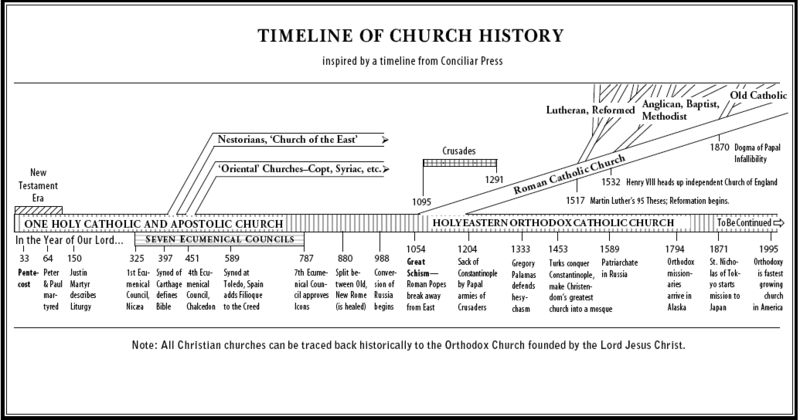 The Christian Church has been here a long time. Some of the following articles and links will give you a glimpse into historic Christianity. It is important to remember, however, that the Christian faith is a living faith – you don’t get it from a Book, even a book as glorious as the Bible! You get it from living persons. You get it from the Body of Christ. You get it from the Church, the one thing that Christ left behind to teach His doctrine. This is the Faith of the Apostles. This is the Faith of the Fathers. This is the Faith that has established the universe.